Bliss N Esso – NEW MUSIC COMING SOON! The Australian Independent Record Labels Association (AIR) will celebrate the 12th AIR Awards at Adelaide’s Queen’s Theatre on Thursday 26th July 2018. A.B. 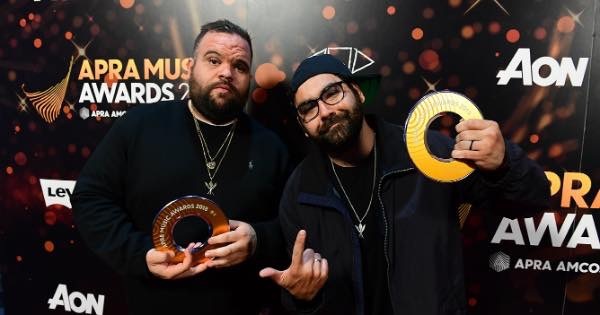 ORIGINAL have taken out the top gong at the APRA’s… the Songwriter Of The Year. The duo are the first hip-hop act to do so, AND the first Indigenous act. The award tops off an EPIC year of releasing their critically acclaimed album ‘Reclaim Australia’.